The Mavic Pro is better than the Phantom 4 and the Phantom 4 Pro. Buy it! A few months back I made the leap into aerial photography, as I am continually looking at how to express myself through new mediums. I did a little research and made an quick jump into the Phantom 4, almost right away I had buyers remorse. Now, don't get me wrong the drone itself is a power chunk of technology and as a first time drone owner I was blown away by what it could do. But, ya there is always a but lol. After about a month I had decided that it was not the tool for me and I decided to sell it. In turn I picked up the DJI Mavic Pro and the fly more pack. This drone has changed my life and I cant see myself ever going back to a phantom, I think that I am officially a Mavic fanboy. There are a two big reasons I decided to make this change that I will do my best to justify within this post. Although the Phantom 4 was fairly feature rich there were a few things that were missing that the Mavic has. As a photographer the more control we have in regards to settings the better and with the Mavic pro I am able to do so much more that I was able to do with the Phantom 4. Obviously this is not the case or the Phantom 4 Pro but saying that, I would still choose the Mavic over it for other reasons. Ok, back to features I love about the Mavic Pro. Below is the list of features that the Mavic has over the Phantom 4 that I believe are must haves for using a drone for landscape photography. Tap Focus: With the Mavic I am able to select where the focus will be by taping. The Phantom 4 lacked this feature. Portrait mode: One thing that I found frustrating about the Phantom 4 was that I could not shoot in portrait mode. Initially I wrote off this feature. Due to drones being a tool used in cinematic production I figured there would be no reason to include this feature in any drone. So, when I found out that the Mavic could make it happen the sinking feeling in gut about buying the Phantom sunk even deeper. I think it is essential to be able to flip the camera and compose images in a portrait style. Even flipping them in post will not give you the look you can get by flipping the camera 90 degrees while in flight. Added intelligent flight modes: Now, a disclaimer with this one because I am hoping that firmware updates to the intelligent flight modes will be brought to the Phantom 4 very soon. The biggest mode that I was missing was the tripod mode. As a landscape photographer we often want to shoot when the light is shot and low, this means low shutter speeds. With tripod mode you don't get a perfectly stable drone but its much better that not using than nothing. With using tripod mode I can bracket exposures and then do some good blending in post production to expand the overall dynamic range of an image. The biggest reason I made the change and the number 1 reason why I would not purchase the Phantom 4 Pro to be used as my stand alone drone is the size of the machine. The fact that the Mavic Pro can fold up and fit inside my camera bag with the rest of my gear is amazing. travelling, especially flying, with an extra case is a massive pain. Considering that aerial photography takes up only a small percentage of my imagery at this point I found it kinda funny that I was doubling up on baggage when travelling. Again, I understand that the 4 Pro has some incredible features especially that sensor but if size is on your mind I strongly recommend the Mavic Pro. It's understandable that a few added features and size might not be make or break when it comes to choosing the Mavic Pro or the Phantom, but in a day and age where we are finding a way to pack a ton of tech into a small packages the Mavic Pro wins the day. When once bigger was better we are now seeing a shift in the mentality of photographers everywhere. Because we can get great results without the bulk smaller is now better. 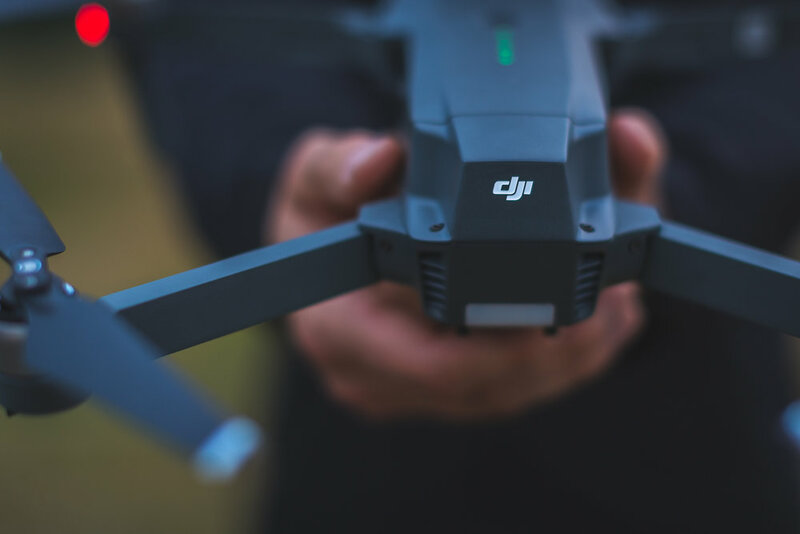 With the release of the tiny Mavic Pro, DJI has established a benchmark in the area of aerial imagery and cinematography. With the purchase of this piece of gear I have now began to contemplate just how little I can carry in order to achieve the, in the field, results that I desire. I can even smell a jump to the mirrorless game coming real soon!